i have updated the example in the download area. Basically you have to go to File -> Project Structure and klick the green add sign in the upper left. Then choose “Import .JAR/.AAR Package” and select the aar file. After that in the group area select app and go to Dependencies. If that doesn’t work please use the provided example. Ps: It’s compiled as Android-Library : AAR . This sub-release offers many bug fixes (including fix for a recently reported security vulnerability) and also adds a few minor features and improvements, please refer to the Release Notes for the full list of changes. Binary kits for Windows and Linux on both 32-bit and 64-bit platforms are immediately available for download. Not using Firebird 3 yet? 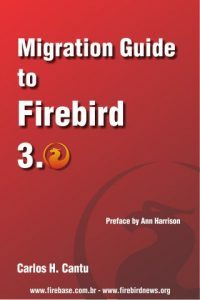 Get the Migration Guide to Firebird 3 and save you a lot of time in the migration process! dbMigration .NET 5.0 is a simple, easy and intuitive multiple database migration and data synchronization tool. With it you can easily migrate schema and data to Firebird and vice versa without complicated procedures. Please refer to the release notes for the full list of changes.